The product is designed to protect from wear and to provide restoring repair of all types of fuel equipment of gasoline and diesel engines. Due to its by 20% greater* active agent’s concentration, it offers strong restoration potential to the worn out surfaces and wear protection. During the treatment of fuel pumps the product forms a metal-ceramic coating on the surfaces of the friction metal parts. As a result, the geometry of all parts is restored. 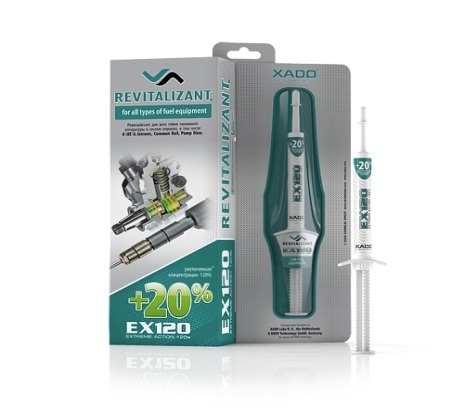 Revitalizant is universal for all types of fuel systems, including K-\KE-\L-Jetronic, Common Rail, Pumpe Düse etc. Note:It is recommended to clean the engine fuel system before application of the product. Other (non-standard) filtering devices may reduce the revitalization effect.